Burning lumps of coal was once the main energy source for factories, engines and heating homes. Today we have much cleaner energy sources such as electricity, wind-turbines and solar power, but over 6,185 million tonnes of coal is still mined worldwide. Today, coal is used to power certain industrial processes and manufacture some products. Simple science projects can teach students how this unsustainable fossil fuel is made, how it is mined and why burning it is harmful to both people and the environment. Like the production of oil and natural gas, coal takes millions of years to form. Coalification first occurred in the Carboniferous Period, which began almost 360 million years ago. Seismic shifts of the Earth's tectonic plates buried and compressed swamps and forests deep below its crust. The natural vegetation was crushed under beds of rocks and sediment. But rather than decaying completely, it was slowly "cooked" under high pressures and temperatures, physically and chemically transforming it first into peat bogs and then into coal. Have students illustrate each step of coalification with fresh plants, dead vegetation, peat and coal. Instruct them to partly fill a small aquarium or transparent plastic box with layers of soil and pebbles to show where on the surface of the Earth, or below the crust, each stage would take place. Each step of the process should be described with labels or a separate chart. If society now uses oil and electricity for power, what is coal still used for? Students can research and describe the many current uses of coal on a chart. Coal is still used to power some plants that generate electricity. Steam coal, which is also known as thermal coal, is primarily used for energy, while coking coal is the type used in steel production. Demonstrate the energy output of different types of coal, or compare it to natural gas or an electric burner, with a simple experiment. This science project requires an adult to carry out the demonstration for safety reasons. Students can weigh the coal pieces to ensure that they are similar. Pour equal amounts of water into identical pots and use thermometers and timers to test how fast each coal type raises the temperature, bringing the water to a boil. To compare coal to other energy sources, use a gas or electric stove to heat the same amount of water and compare the temperature change and time. Like oil, coal must be extracted and processed before it can be used for energy. And like other fossil fuels, burning coal gives off harmful byproducts that pollute the air. Burning coal is a leading cause of pollution, acid rain and toxic smog. 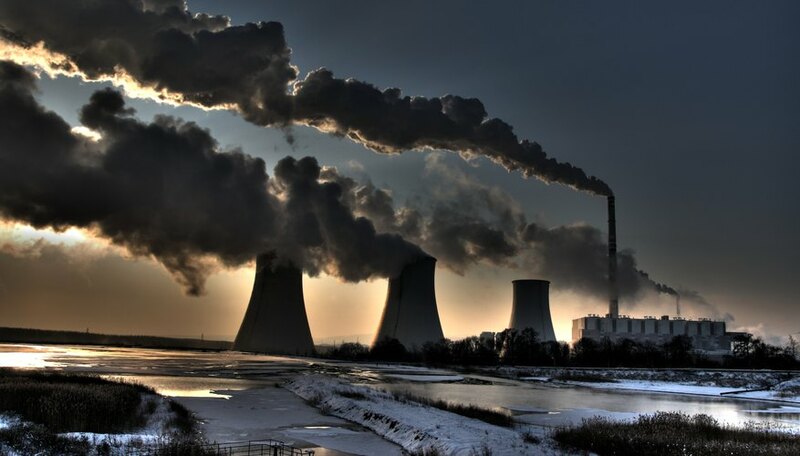 Coal is the leading source of sulfur dioxide pollution; a single coal plant can give off up to 14,100 tons of this chemical, poisoning soil, water, animals and people. Other toxic pollutants from coal include nitric oxides, mercury, lead, arsenic carbon monoxide and particulate matter or soot in the air. Students can illustrate the polluting effects with a chart or diagram to list the many toxins given off by this fuel. Demonstrate the build-up of carbon soot to students by burning a piece of coal in a safely enclosed space, such as in a science lab's fume hood. Coal extraction has changed in the last 50 years. Coal is still produced from underground and surface mines, but mining methods have improved and become much safer with technology. Almost 60 percent of coal is now mined using the surface method. Build two mine models using glass aquariums, soil, and toy and cardboard figurines to demonstrate the differences. Use small spools and wide elastic bands to represent working conveyor belts that are used to pull up coal. The older, underground mine model will have deep tunnels in which miners had to use a rail-car system to manually move the coal. The newer surface method makes use of mining machines that bore into the ground and extract coal using conveyor belts. Miners no longer have to make the dangerous descent deep underground to dig for coal. CoalEducation.org: Background Information -- How Is Coal Mined? World Coal Association: What Is Coal Made of? University of Kentucky: How Is Coal Formed?